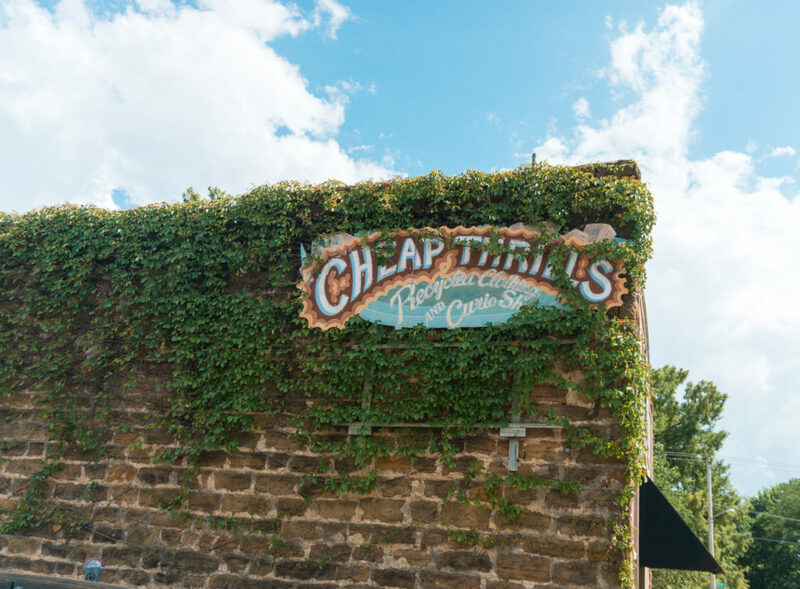 Northwest Arkansas has a contagious small-town charm that will allure you to return after your first visit. 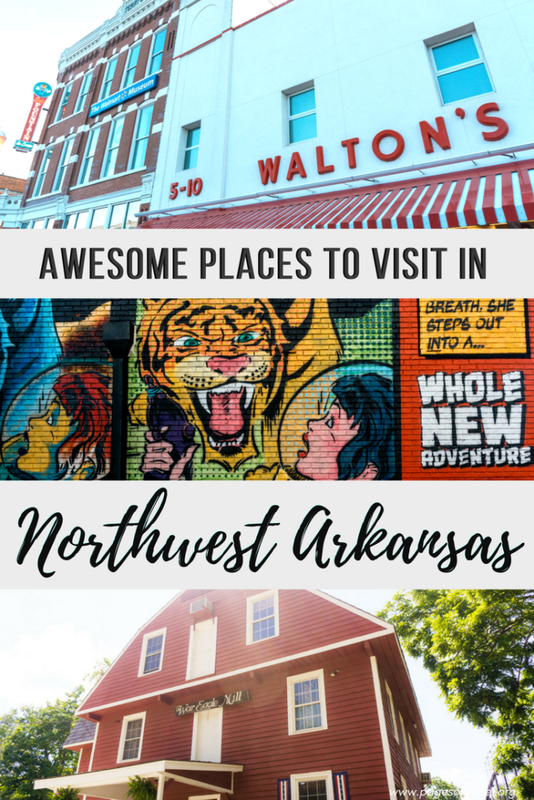 Starting in Bentonville, Arkansas you’ll find the home of Walmart and see how Sam Walton’s legacy grew this area to become a place visitors and residents instantly feel at home. In Fayetteville, Arkansas you’ll find the University of Arkansas and, of course, Razorback sports. 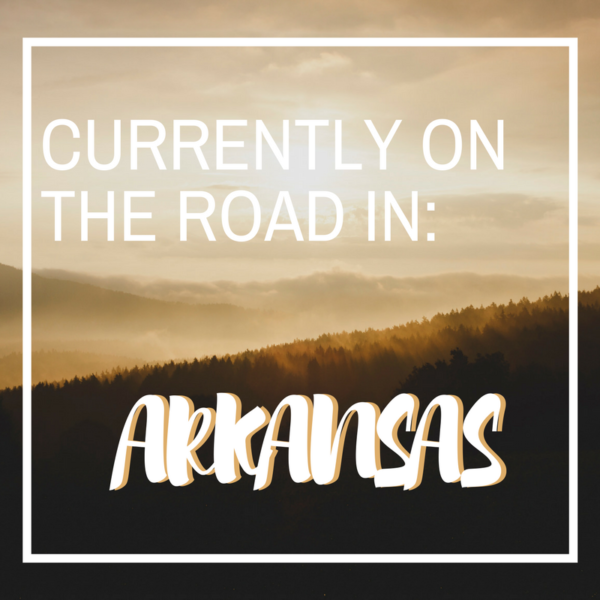 In this guide, you’ll find many things to do in Northwest Arkansas, top foodie spots, and hidden destinations that are perfect for a quick getaway or extended stay. Crystal Bridges Museum of Art is home to some of the best contemporary art you’ll ever find with rotating exhibitions from well-known artists including Roy Lichtenstein, Dale Chihuly, and Georgia O’Keeffe. 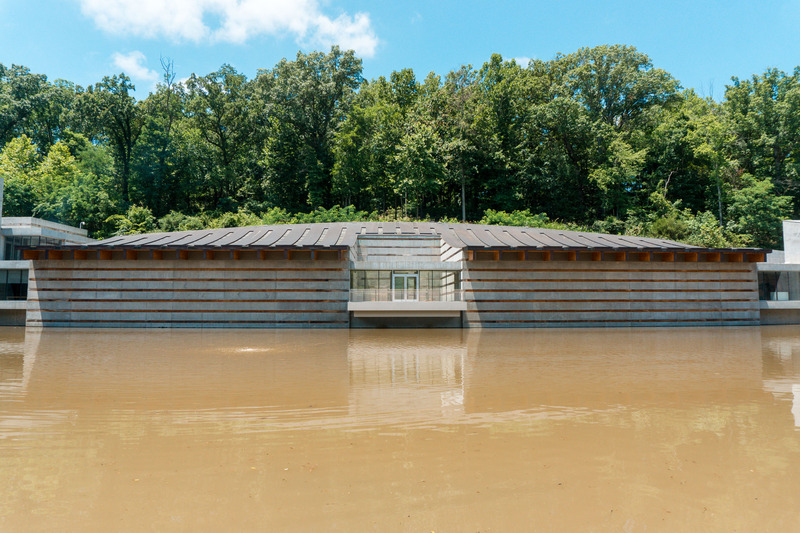 Crystal Bridges also offers miles of bike trails in northwest Arkansas where you can view scenic outdoor beauty as well as various sculptures along the trails. 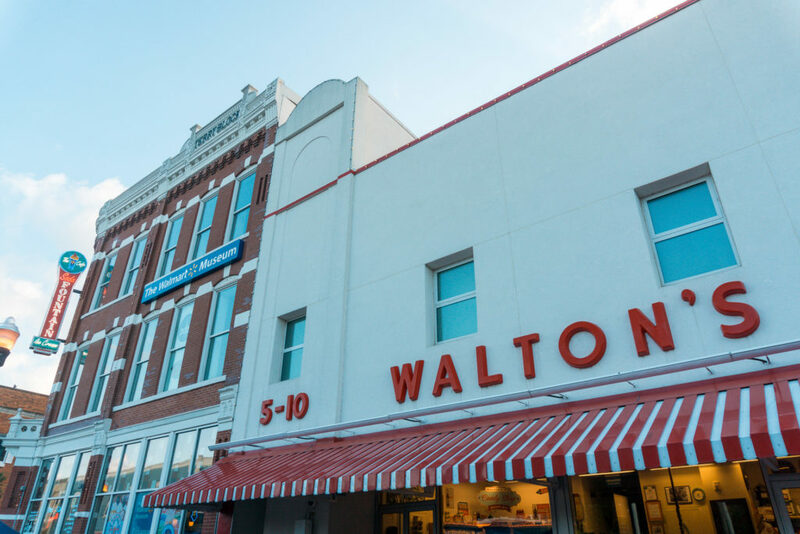 The Walmart Museum in northwest Arkansas opened in 1990 to educate, engage, and inspire visitors about the history and heritage of Walmart. Learn the legacy of Sam Walton from the very beginning and stop by Walton’s 5 & 10 for some classic candies. 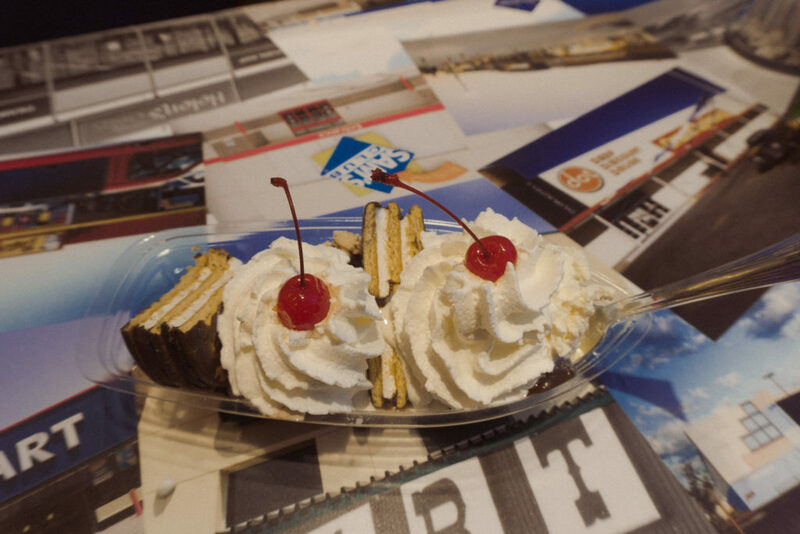 After, indulge in an inexpensive treat at The Spark Cafe, such as a Moon Pie Sundae. 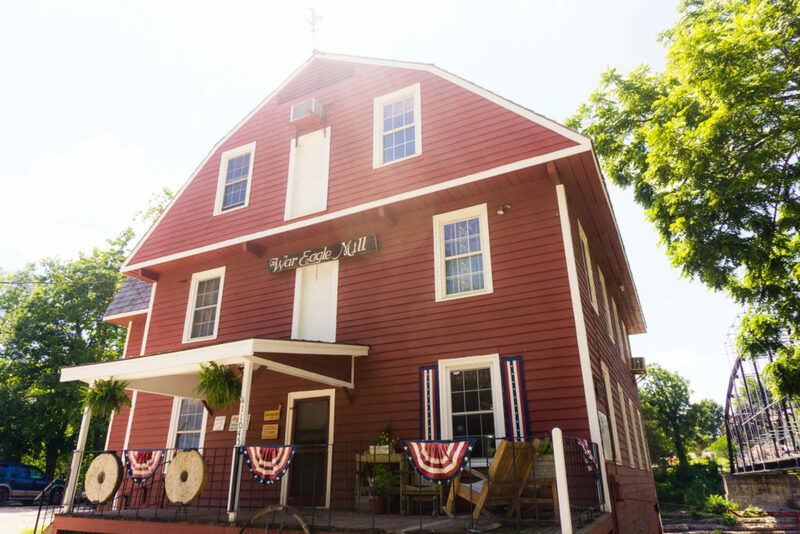 Located near Beaver Lake in Northwest Arkansas, War Eagle Mill is a working gristmill that has been on this location since 1832. Having been destroyed by disasters such as flooding and fire it has been completely rebuilt and renovated many times since it’s opening. 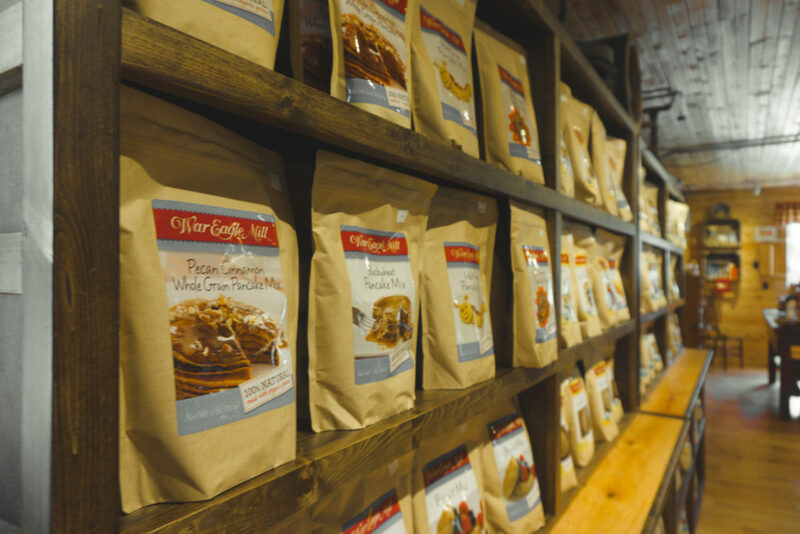 Although it dawns a new look, War Eagle Mill still offers delicious homemade products, household goods & gifts, and even a small restaurant called The Bean Place Cafe. 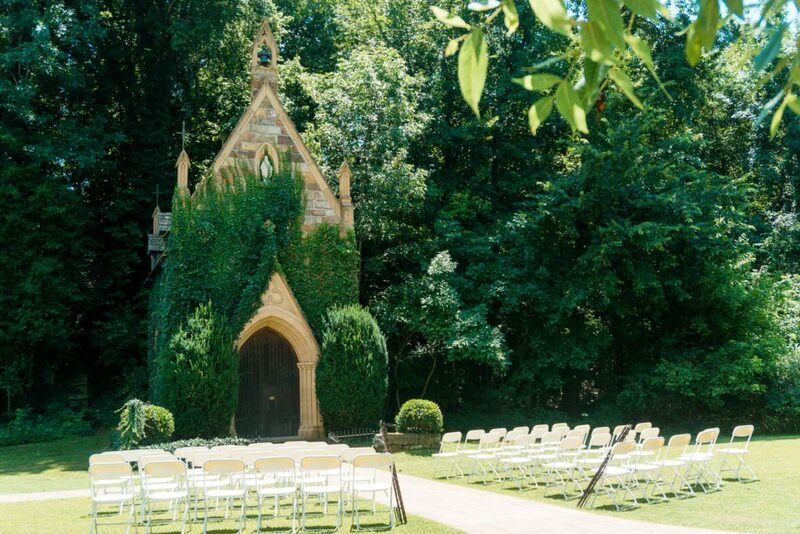 Hidden down a windy and lush forest road, St. Catherine’s at Bell Gable will immediately make you feel like you’ve stepped into a fairytale or The Secret Garden which makes this one of the unique things to do in northwest Arkansas. The stained glass windows and doors are from a church in England which helped inspire the European architecture. St. Catherine’s is available for special events but is also open for viewing pleasure and meditation. 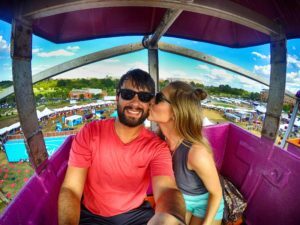 “I’m gonna pop some tags!” One of the quirkiest things to do in northwest Arkansas is hands down, Cheap Thrills! Walk into Cheap Thrills and peruse through the vintage garb from every era. 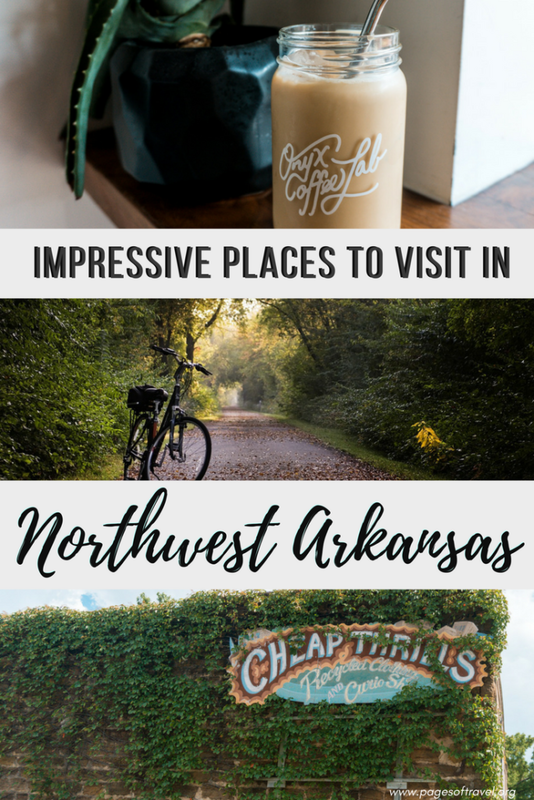 Even if you aren’t looking for something special, you’re most likely to find something posh that you can’t leave without at this top thing to do in Fayetteville, AR. 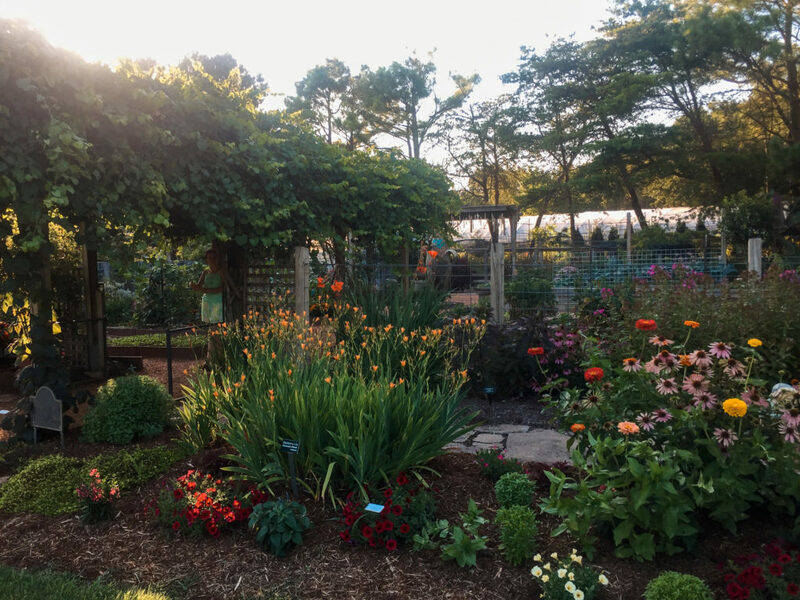 Although the Botanical Gardens of the Ozarks is a small garden, it’s the perfect place to bask in the serenity of nature, have a picnic, take a stroll or even enjoy live music during the summer months in northwest Arkansas. 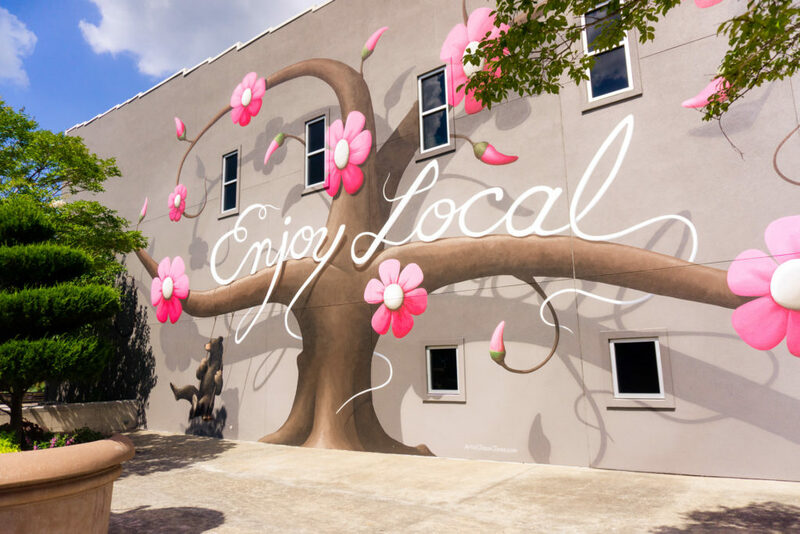 All over northwest Arkansas, you’ll find small and large-scale pieces of urban contemporary street art. 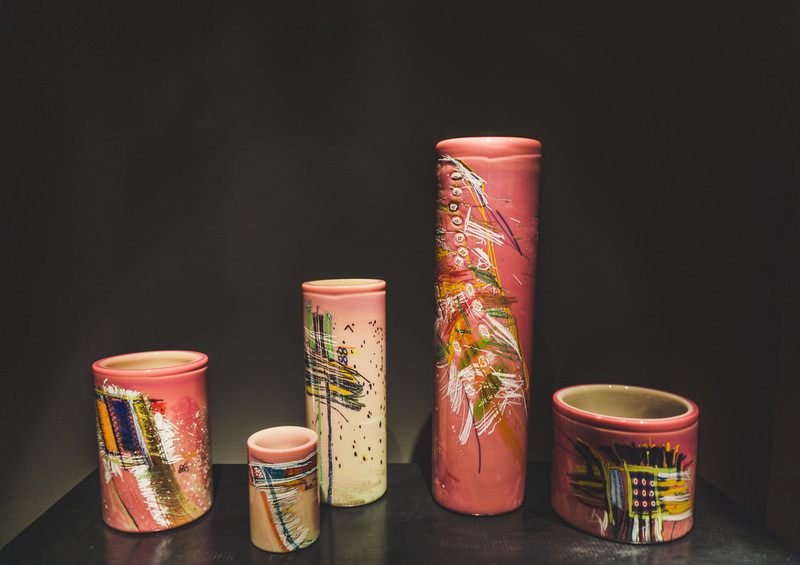 As your walking, the streets of Fayetteville, Bentonville, and Rogers, keep an eye out for these one-of-a-kind artworks. 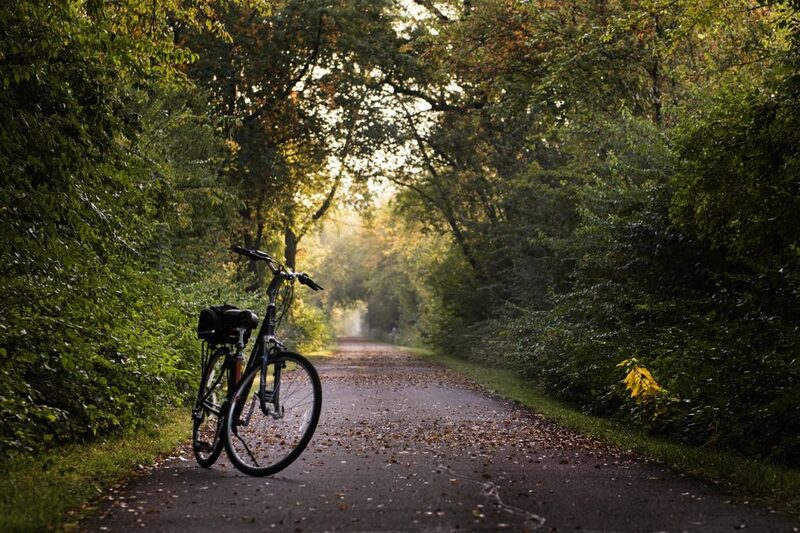 Northwest Arkansas offers some impressive bike trails with scenic outdoor beauty that perfect for all nature lovers. Take a spin on your spokes at one of the paved trails or off-road trails. 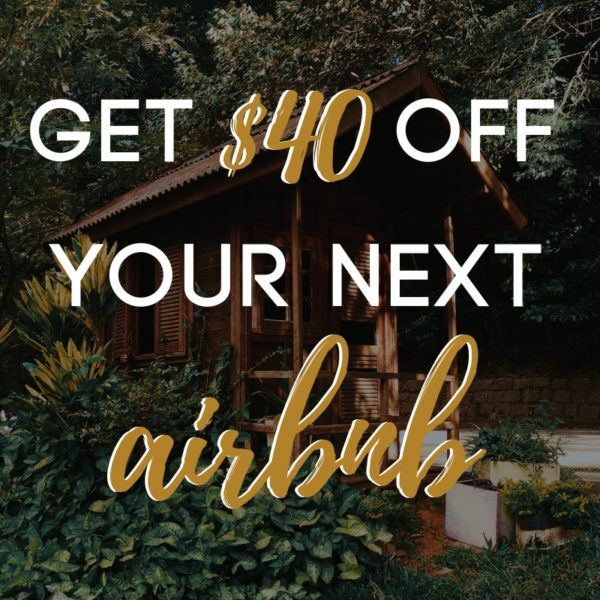 Don’t have a bike? 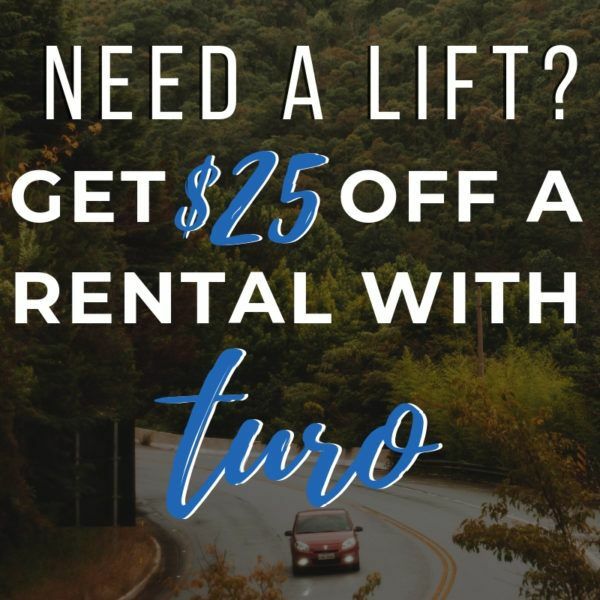 You can rent one! 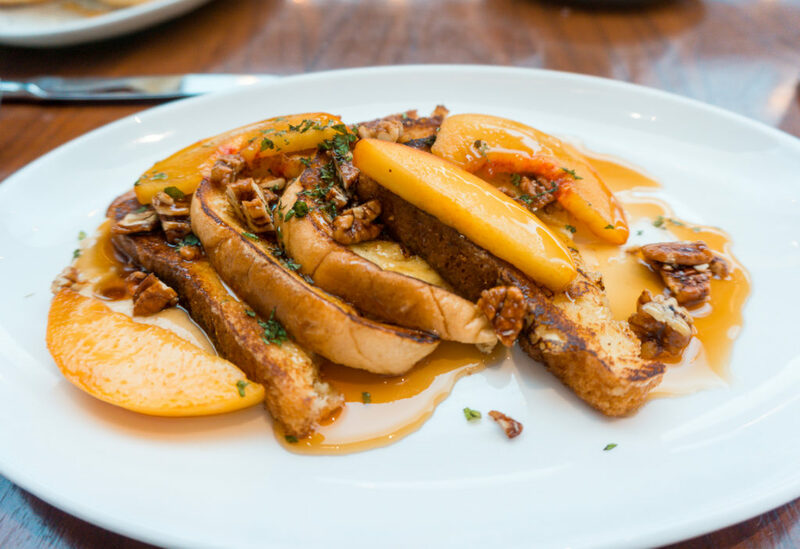 Get your hands on all things sweet and savory at this French-inspired casual crepe restaurant. 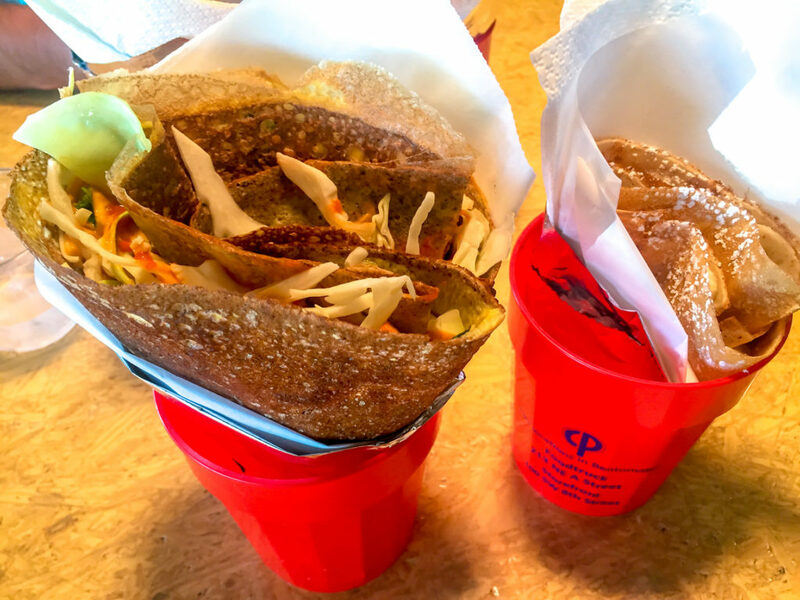 Crepes Paulette also offers many vegan, vegetarian, allergy-friendly options too. 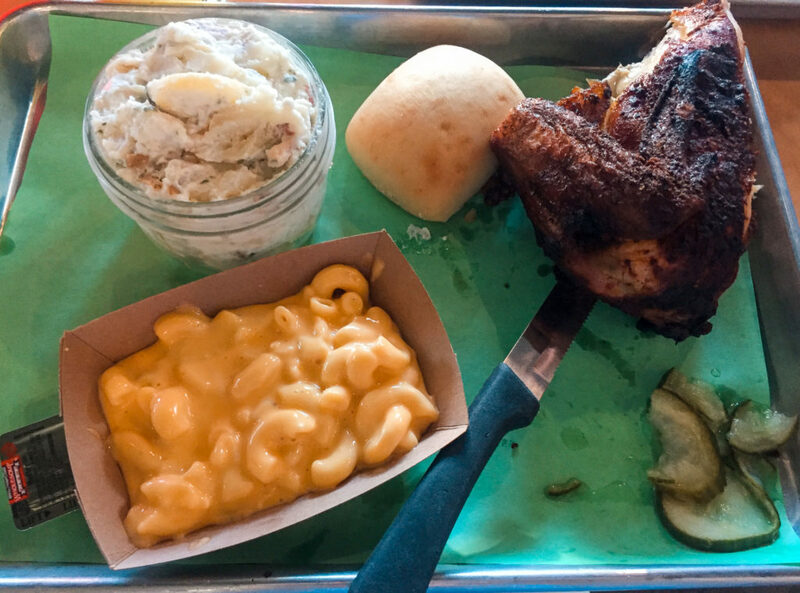 Bentonville Butcher & Pints provides fresh, local ingredients including delicious smoked meats, tasty sides, and local craft beer. 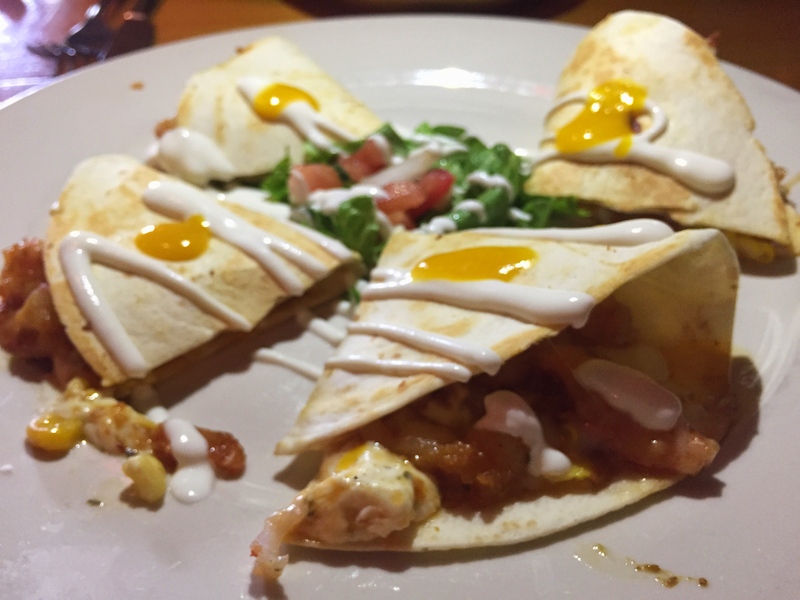 Foster’s Pint & Place is Northwest Arkansas’ biggest pub with 82 beers on tap, weekly trivia, and diverse menu of comfort foods like their cheesy shrimp and grits. The Hive, led by Chef Matthew McClure, is the perfect spot for any meal or a late-night cocktail. 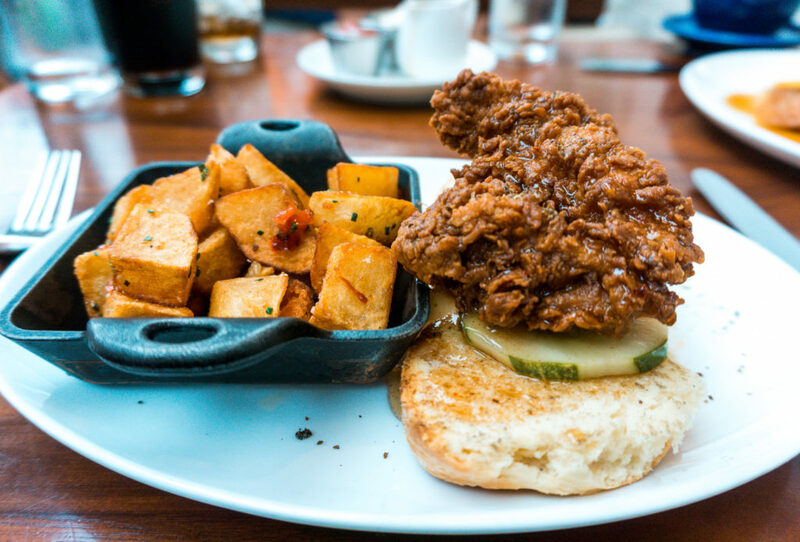 Check out their Saturday morning brunch and enjoy entrées like the BMF Chicken on a Biscuit pared with perfectly seasoned skillet potatoes, the Stone Fruit French Toast with bourbon peaches and candied pecans, and signature refresher beverages like the Farmer’s Tan with notes of watermelon, grapefruit, lime & mint. 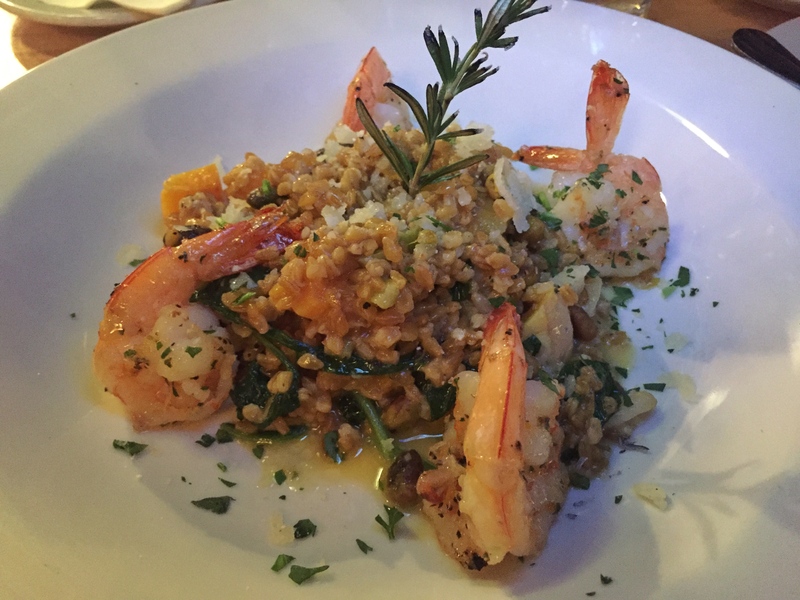 Regardless of your entrée choices, your taste buds are sure to be singing after enjoying a meal at The Hive! 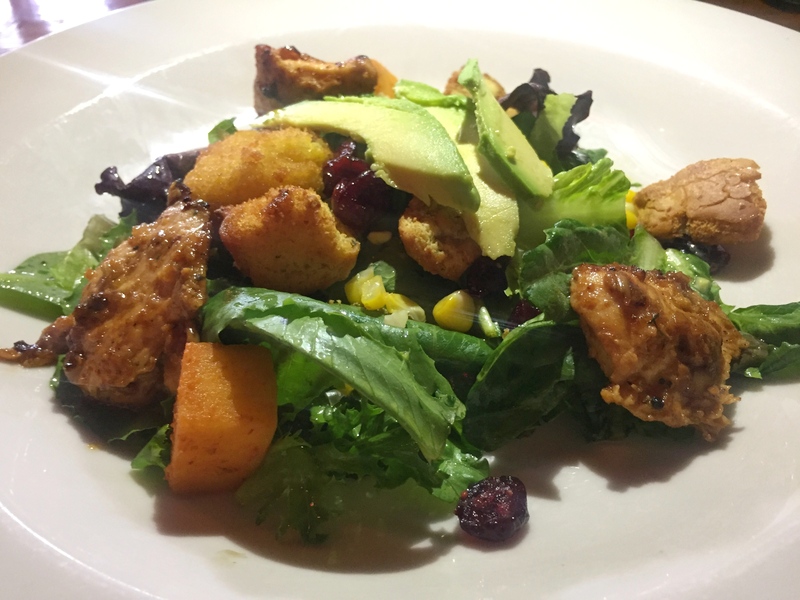 Table Mesa offers modern Latin cuisine with fresh ingredients and a varied menu full of flavor all surrounded by a terrific ambiance with reclaimed wood floors, brick walls, comfy bar seating, and subtle lighting. 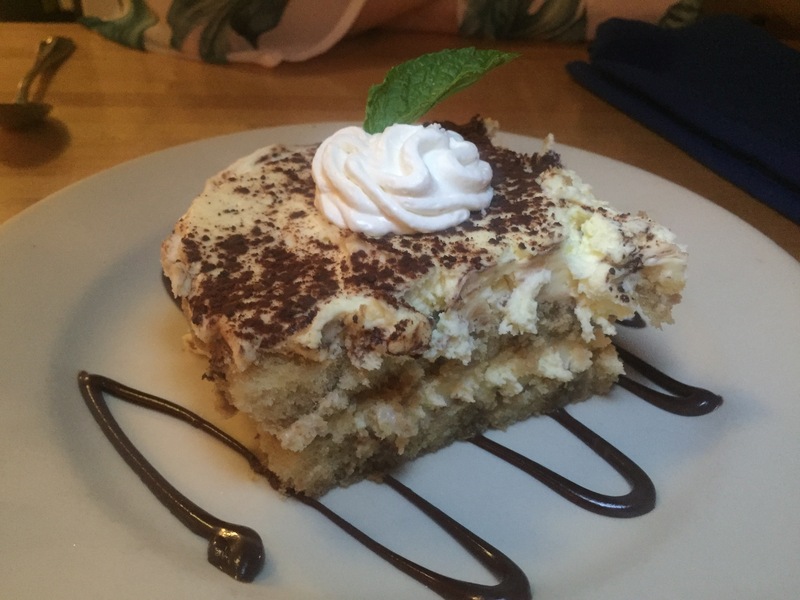 Tavola Trattoria is a trendy Italian restaurant in a loud, lively environment that provides an exceptional wine menu, assorted menu options, and mouthwatering tiramisu. 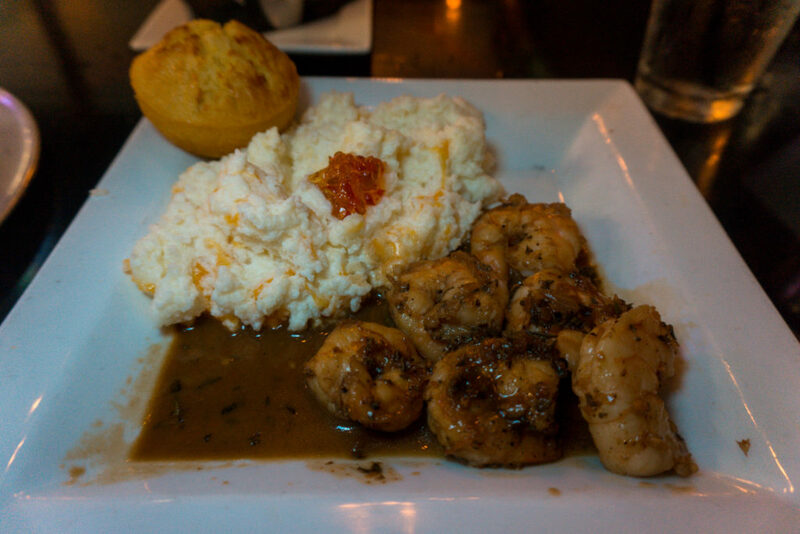 We brag about the BBQ, but we can also brag about the portions and prices! 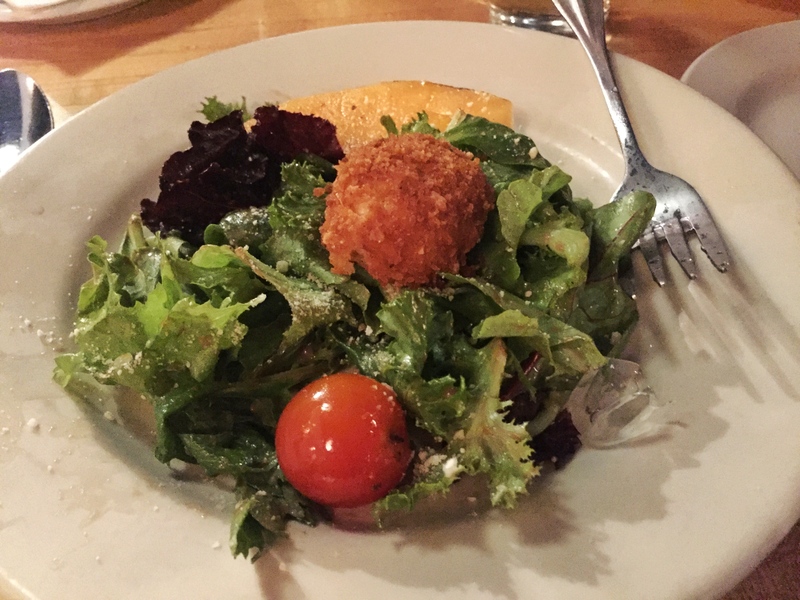 At Sassy’s Red House the catfish is perfectly battered, smoked chicken has the perfect flavor, and the ribs alone are enough to make to come back. Not to mention their side options are delicious and large. 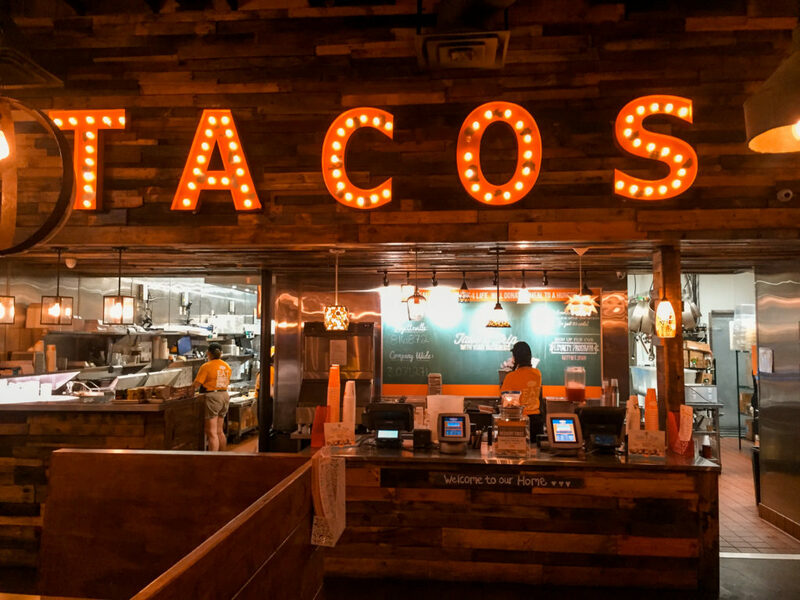 Their tacos are delicious but their mission will make you go all the more. Tacos 4 Life donates one meal for every meal purchased to Feed My Starving Children, a non-profit that helps provide meals for children suffering from malnutrition in 60 different countries across the world. 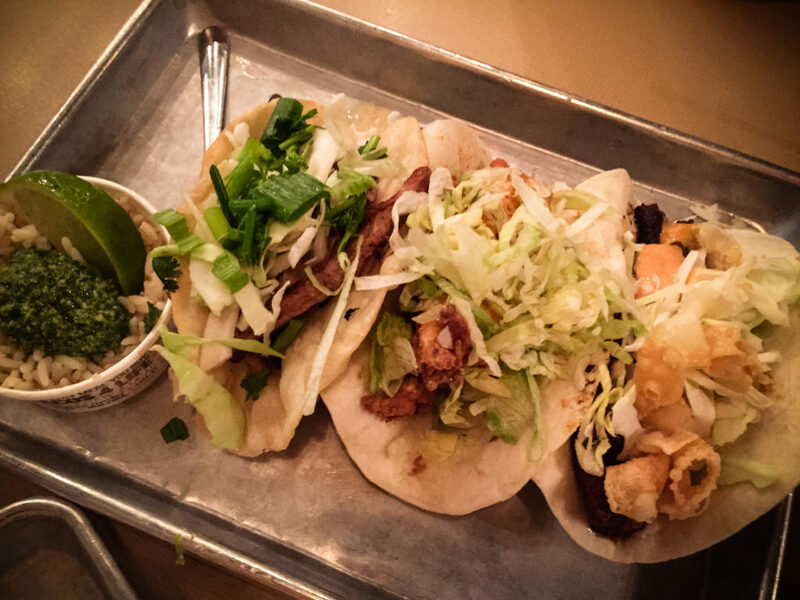 We especially like the buttermilk fried chicken and grilled shrimp tacos. Location: Tacos 4 Life is located all over northwest Arkansas! Stone Mill Cafe like a local’s Panera Bread Co. 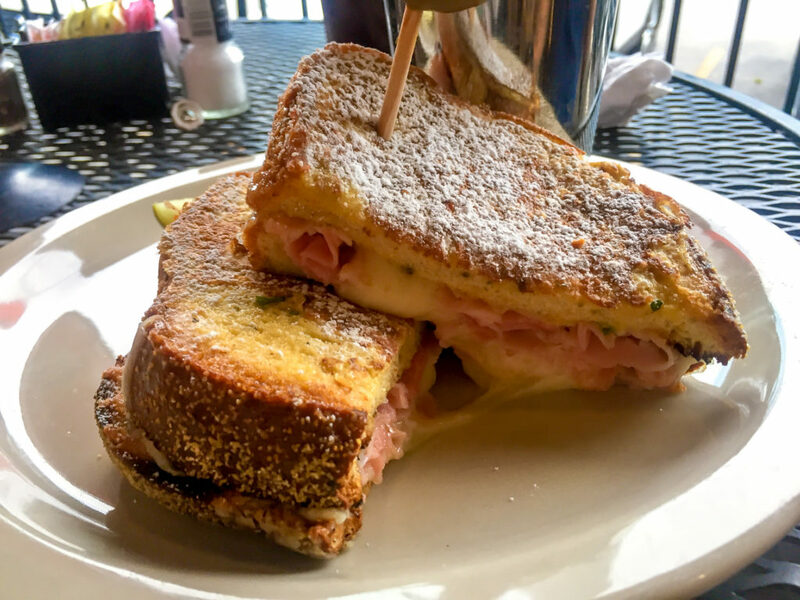 It has delicious homemade loaves of bread, soups, sandwiches, and salads. 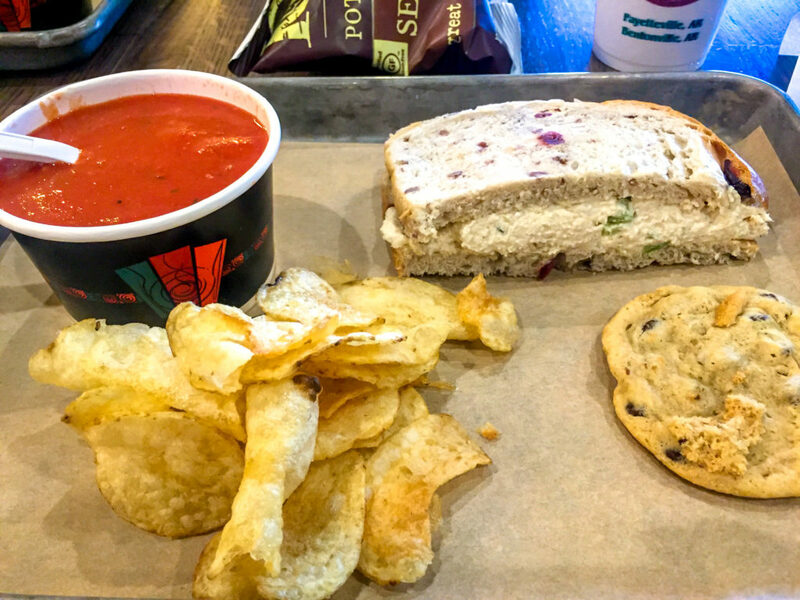 Each meal or combo comes with your choice of side and a complimentary cookie! 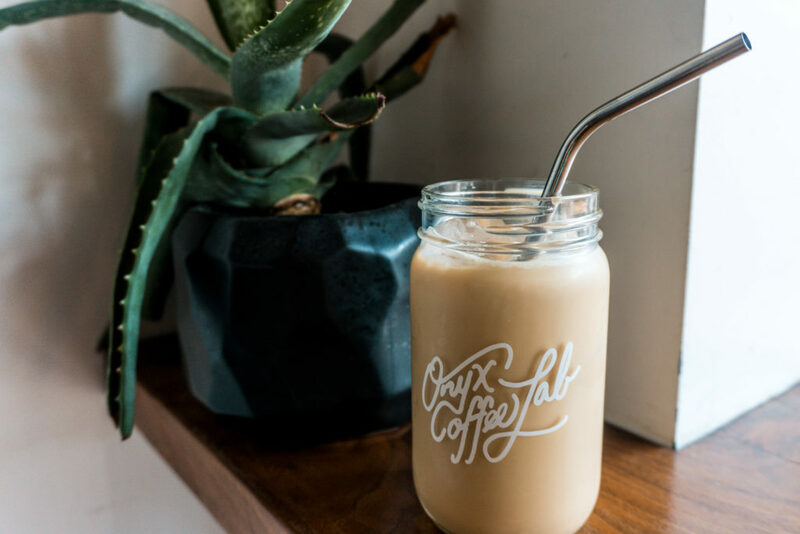 Onyx Coffee Lab has popped up all over Northwest Arkansas and we’re not mad about it. 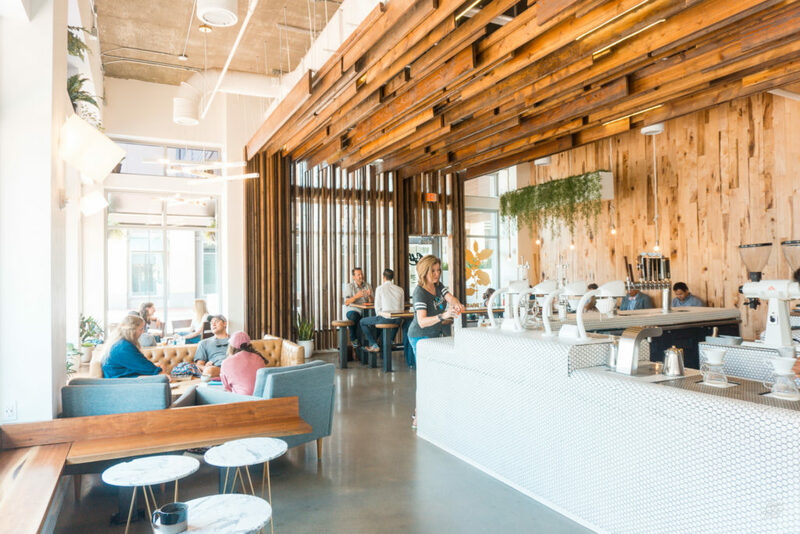 Step into a cozy yet posh coffee environment to sip on some high-quality espresso while working, socializing, or relaxing. 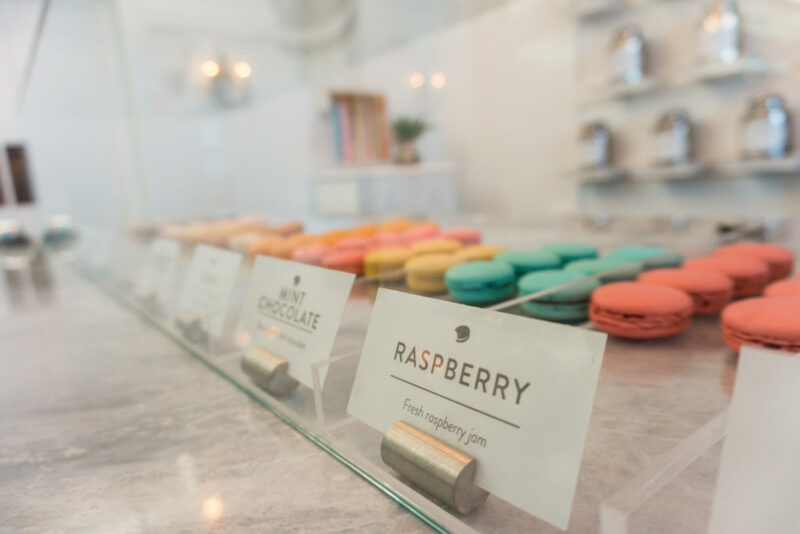 Macarons have recently become more popular in the States lately, and Alchemy Macarons is a must add to your list of things to do in northwest Arkansas. These melt-in-your-mouth French macarons are in 15 different flavors and handmade with care every day. If you haven’t had a macaron yet, let this be your first one! 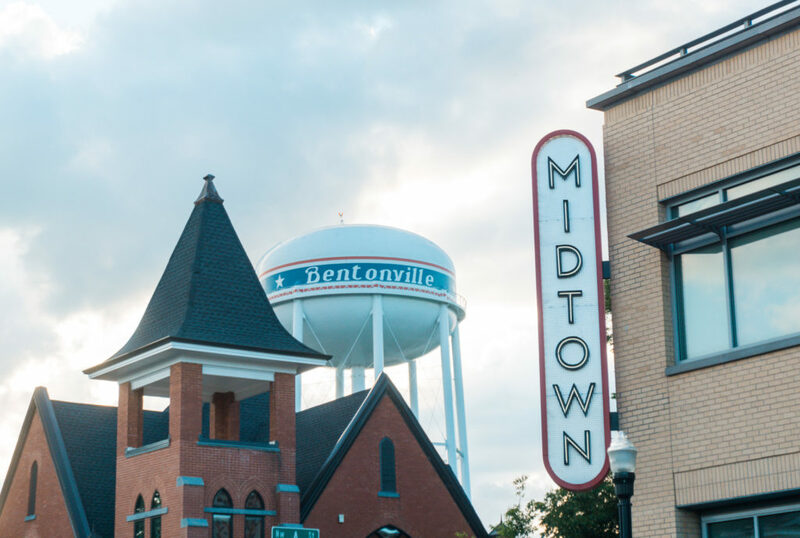 If you are looking for an intriguing and hospitable place to relax after spending some time touring northwest Arkansas, 21c Museum Hotel Bentonville will immediately make you feel at home. 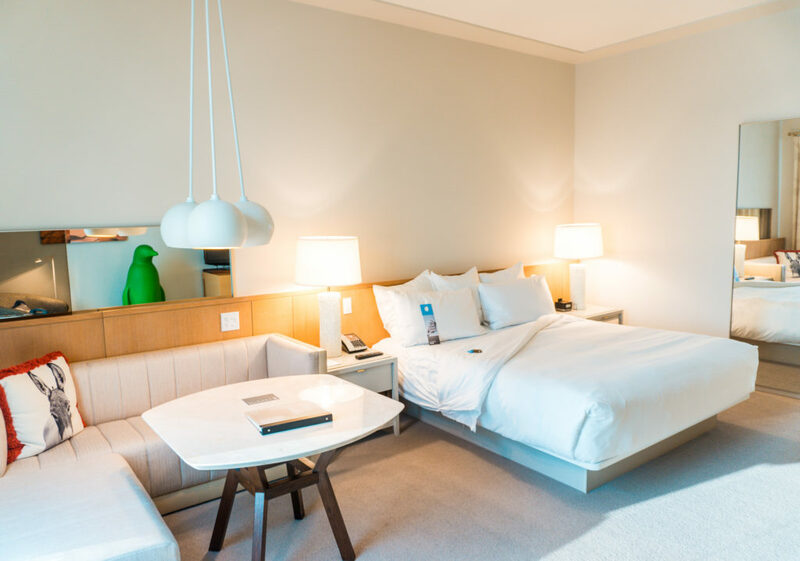 Each one of the 21c Museum Hotels properties offers a contemporary art museum, paired with a boutique hotel and chef-driven restaurant to provide you a compelling and unique experience. 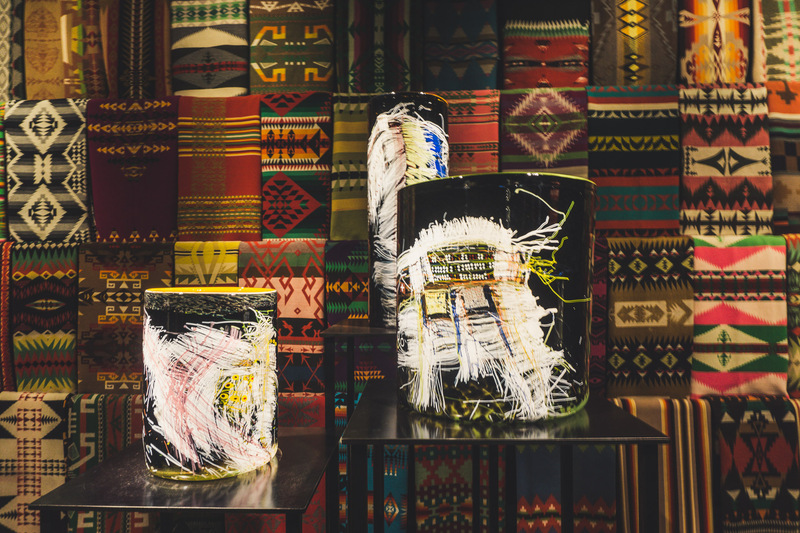 The 21c Museum Hotel Bentonville is no less, captivating you with its Southern charm and encouraging each guest to open their eyes to a new world of contemporary art, flavorful dishes, artistically posh pet-friendly rooms, and so much more.